Cracked and damaged driveways, sidewalks and patios can be hazardous, not to mention unsightly. America’s Pros can repair your broken and cracked concrete driveways, sidewalks and patios or replace them with stamped concrete. 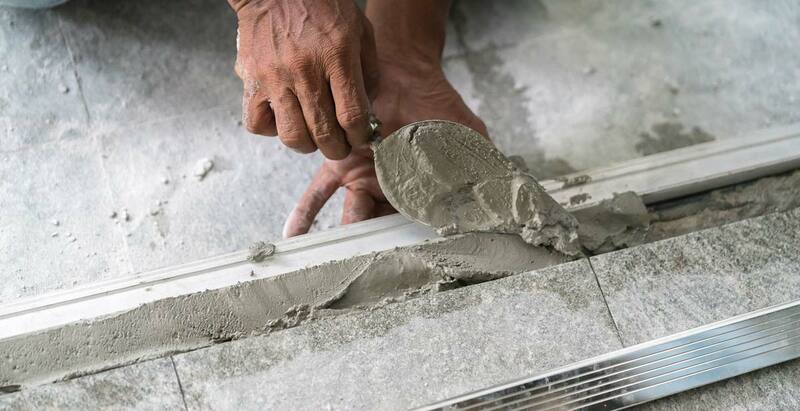 We pour new concrete, repair old concrete, and caulk concrete seams. If you need a new asphalt driveway, call us! Stamped concrete driveways, sidewalks and patios are beautiful and there are many colors, patterns, and designs of stamped concrete for you to choose from. We recently contacted some local contractors to get a bid on replacing our concrete truck loading dock here in Rochester Hills. Scott, I met with a few contractors and got some proposals from them to remove and replace the Hydro-Craft’s concrete loading dock. However, after meeting with you and reviewing your proposal, which was thorough and complete, we made the decision to choose America’s Pros. You kept me updated on the progress of the job and kept your promise when the job would be done. Hydro-Craft gets deliveries daily and having our loading dock ready to go for normal business was very important to us. What I was impressed with, upon finding that the carch-basin in the loading dock had damage that was hidden by all the broken cement and needed to be rebuilt, you and your crew did it at a minimal cost, plus you had to bring in an extra 10 yards of 21A stone, but did not charge us for that. So Scott, I am very pleased to recommend America’s Pros to anyone that is looking for a professional concrete solutions and services! By the way, we plan on using America’s Pros in the near future to make some much needed repairs to both our building and parking lots too. I am extremely pleased with the job America's Pros did on my driveway. It has been over a month now that you completed the work, and the driveway looks better today than it did when you first completed the job. I am extremely satisfied with the job you and your team did. After experiencing a lengthy preparation for and installation of a concrete driveway and two concrete walkways at my home, I am now beginning to relax. The job was demanding and considerably detailed. I certainly am not an expert at this type of thing so I can comment only on what I experienced and what I now see, and my comments are positive. To begin with, the job was started at the stated time. It proceeded with its many steps at what I would consider to be the appropriate pace. The crews were pleasant and appeared to know what they were doing. These points were very important to me because I am someone who does not appreciate late starts and wasted time, and I like the idea that I have selected people who know how to do the job correctly. Additionally, questions I called in to the office were answered in an appropriate timeframe, and various special requirements for this job were handled well. One of these was the underground insertion of a pipe as part of a preparation for a lawn sprinkler system to be installed at a later date. It was good to know that the details were being handled, and I did not need to concern myself with them. At this point, I have already had compliments on the concrete driveway even though the finishing touches of the lawn are not yet in place and so do not create a totally beautiful picture. I, however, look forward to the time when everything is one hundred percent finished, but in the mean time, I believe I have made the right choices in contracting America's Pros, Inc, to handle the job. I thank all concerned for the individual efforts each person put forth.